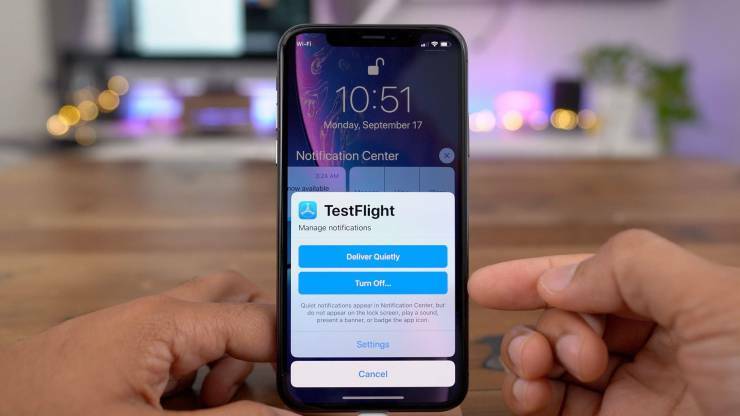 The first beta version of iOS 12.1, which came out just after the release of iOS 12, although it can not boast of an abundance of new features, still contains a number of noteworthy innovations. What’s interesting appeared in the current beta build iOS 12.1 – read in the material AppleInsider.ru. As it turned out, not all innovations iOS 12.1 will be available to owners of existing devices. Part of the functionality, apparently, is for gadgets, the release of which is only to come in the future, which, incidentally, does not make the update less noticeable. Support for face recognition in the horizontal orientation. The latest innovation, unfortunately, does not work on compatible iPhones, which means it is meant for iPad Pro. Developer Stephen Triton-Smith explained this by the fact that the horizontal identification requires making changes to the current arrangement of the sensors responsible for recognition. It is expected that the release of the new Apple tablets will take place in October. This, in particular, indicates the program code iOS 12.1. Together with the iPad Pro, a presentation of an inexpensive MacBook with a display diagonal of at least 13 inches and support for fingerprint authentication should take place.